DETROIT, Mich., November 12, 2018 – YMCA staff and volunteers will assemble fresh, healthy Thanksgiving baskets to distribute to needy families on Saturday, November 17, 2018. 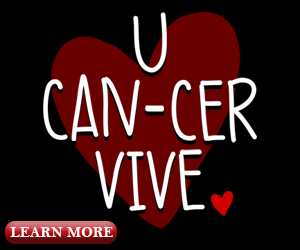 The event will take place at the Boll Family YMCA, located in Detroit, and the public is welcome to participate. 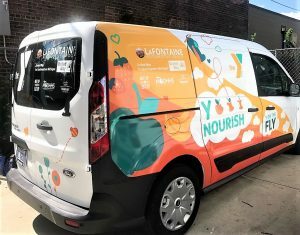 The Metropolitan Detroit YMCA, together with community partners, Gleaners Food Bank, Peacock Farms and Verellen Orchards & Cider set out to create a package that includes everything needed for a Thanksgiving feast. Baskets include eggs, squash, greens, potatoes, onions, and other fruits and vegetables. Also included will be pantry items like salt and pepper, herbs, oil, flour, baking tins, tin foil, potato peelers, and, of course, a turkey. 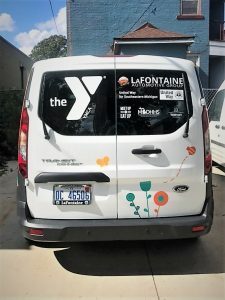 The LaFontaine vehicle will also assist in picking up and delivering the Fresh Baskets food to the Boll YMCA which will be delivered to homes by volunteers and nourish close to 500 individuals this holiday season.